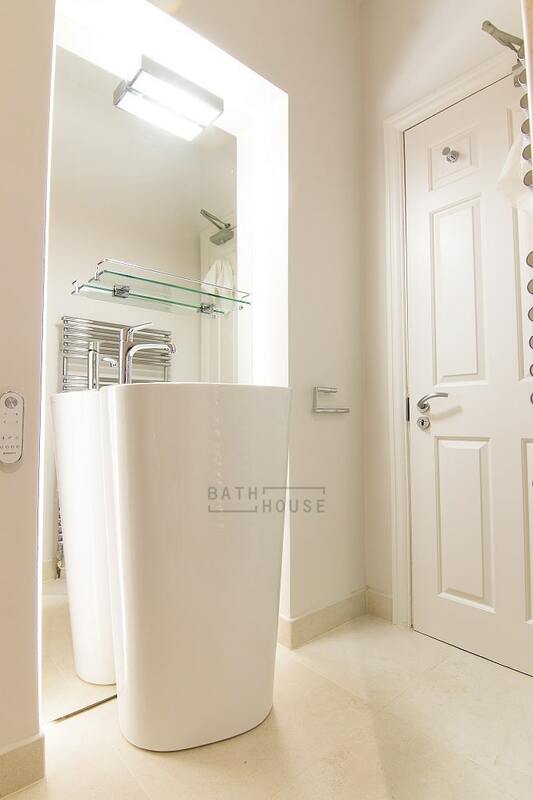 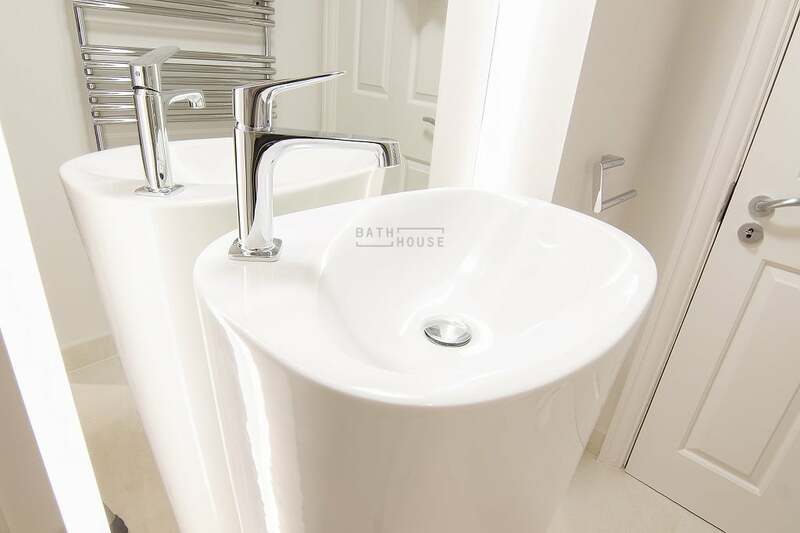 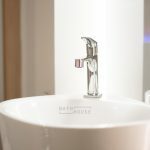 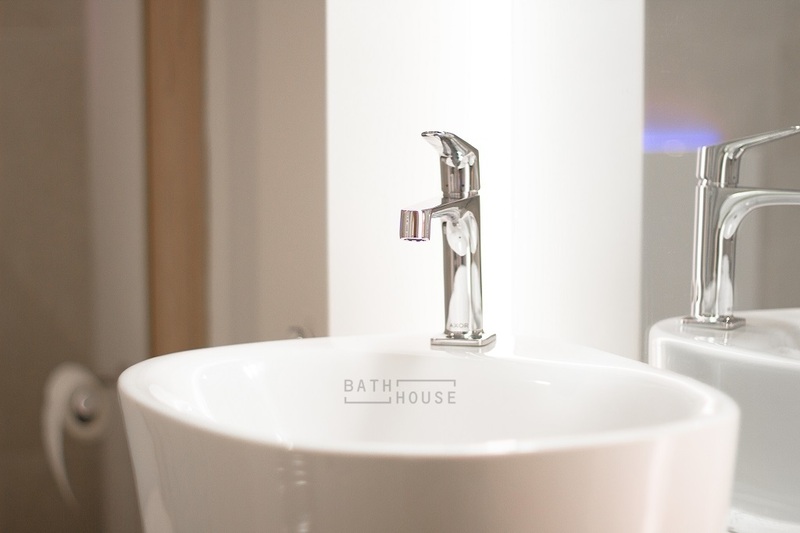 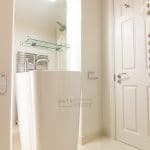 Vanity: Laufen Palomba Floorstanding Menhir Basin with Hansgrohe-Axor Citterio M Monobloc. 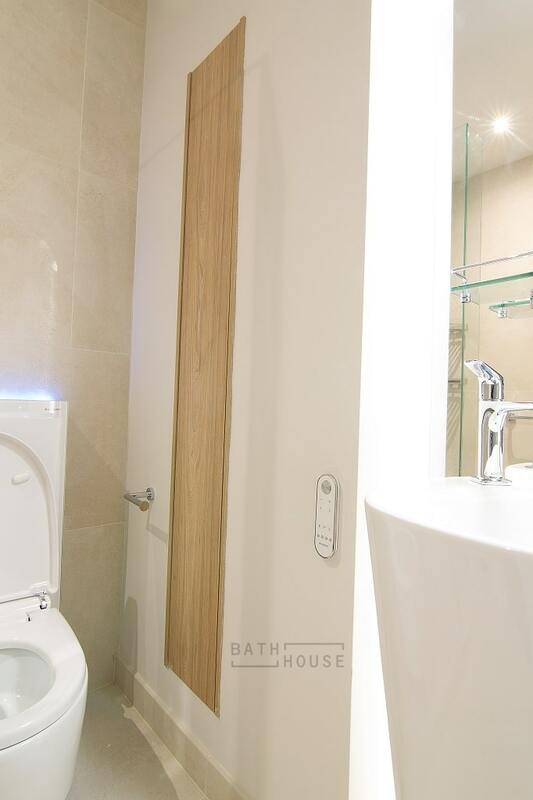 Mirror: Bespoke Bath House LED Backlit / Demisting Mirror. 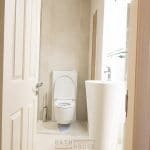 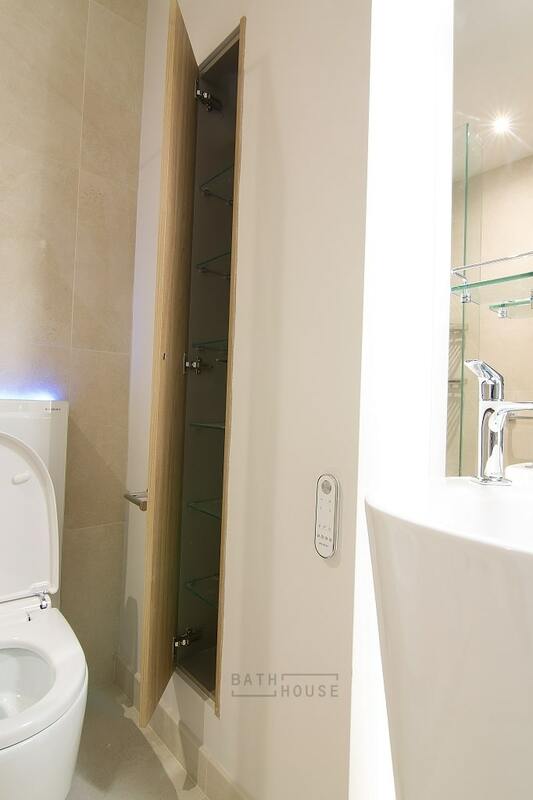 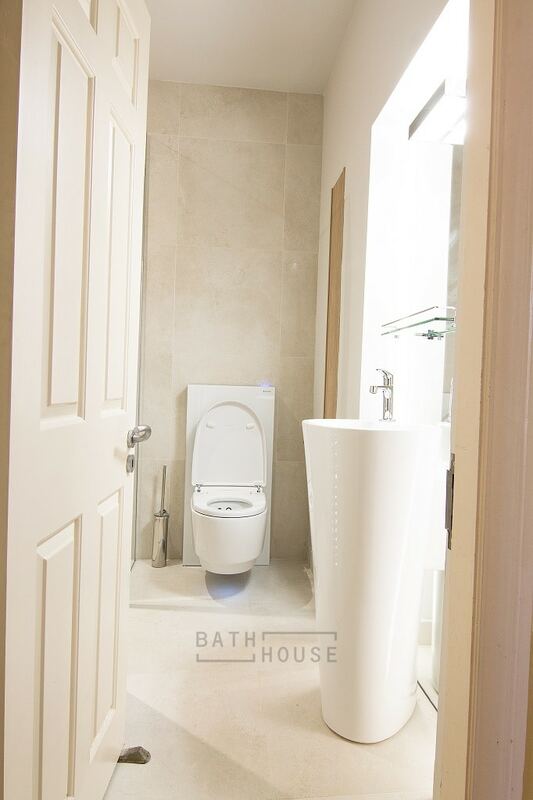 WC: Geberit Monolith with wall hung Mera Aquaclean Comfort Shower WC.